Celebrate the spirit of independent winemakers and experience some of the most unique wines in the world! The unbridled passion and fascinating spirit of independent winemakers from California, Oregon and Washington is brought to your loved one’s door with these magnificent monthly wine gifts. 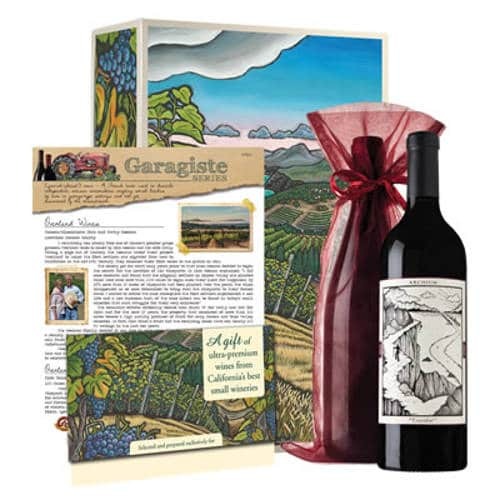 The Garagiste Wine Club is a newly developed monthly gift club that features exquisite, hand-crafted wines that are nearly impossible to find anywhere else. Now your loved one can discover magnificent monthly wine gifts that are true artisan creations and have yet to be experienced by the general public each and every month for as long as you like. Enjoy 2 to 4 bottles of succulent reds with a few marvelous whites, or choose to receive only reds.